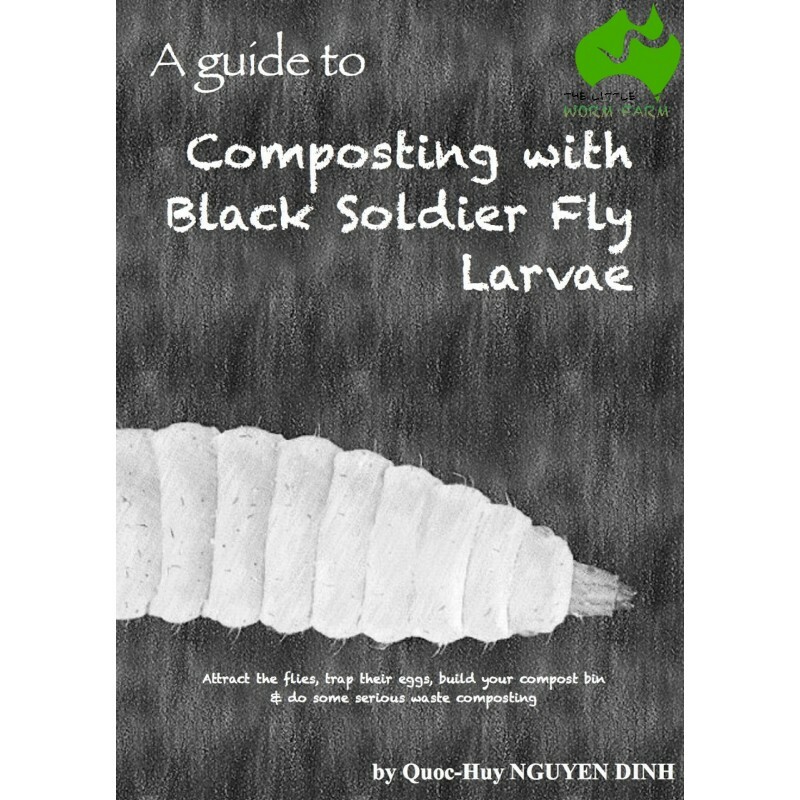 Black Soldier Fly (Hermetia Illucens) are also called Calci Worms or Phoenix Worms.Despite their eek factor, Black Soldier Fly Larvae(BSFL) are more and more popular these days. 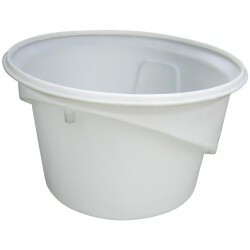 Especially amongst those who compost all their domestic waste using as little space as possible. 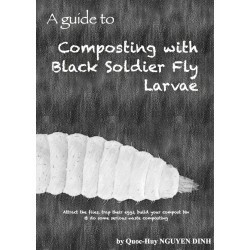 This little digital guide will take you through how to attract the female flies, trap their eggs and raise the larvae in your own compost bin at home. 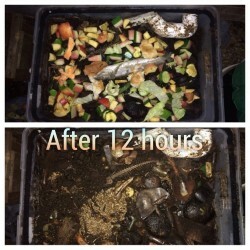 In a larvicompost bin the size of a vermicompost bin, BSFL could consume around 2kg (4.4lbs) of food waste per 24 hours! 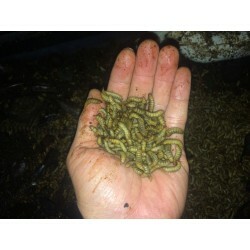 The residue left form their waste consumption is an excellent food for the worms. 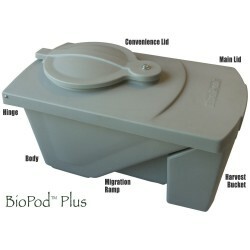 This ebook does NOT cover breeding/mating/hatching enclosure.